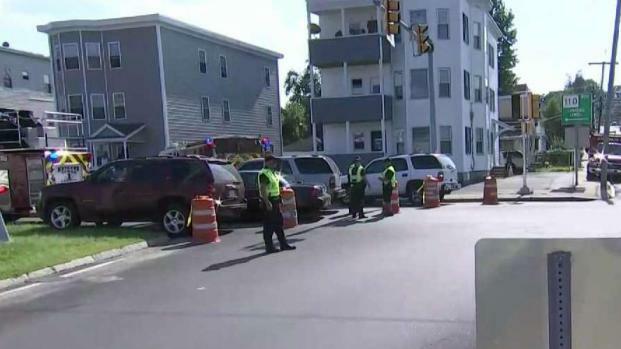 The power is back on in a neighborhood of Lawrence, Massachusetts, after a gas main was punctured, prompting evacuations. 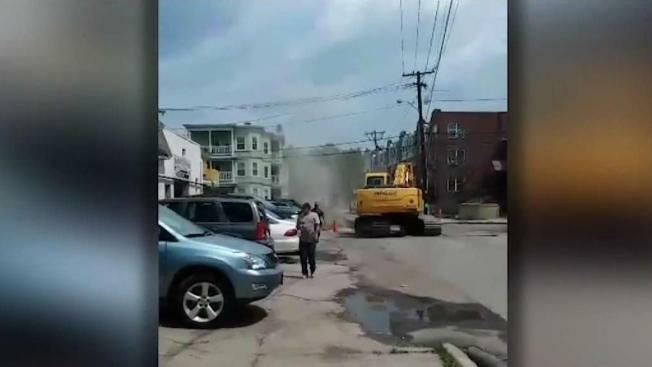 A gas main break forced authorities to evacuate an area in Lawrence, Massachusetts, Thursday afternoon. Gas could be seen spewing into the air after the line was ruptured. Power to the immediate area had to be shut off while crews worked at the scene. Among those without power were Holy Name Hospital, Lawrence General Hospital and Berkley Nursing Home. Power was fully restored by Thursday night. "We have people around here without shoes," said Jennifer Melendez, who was evacuated. "Everybody came out as is, no clothes, no nothing." A large gas leak led to evacuations in Lawrence, Massachusetts on Thursday afternoon. The scene unfolded in the area of Jackson Street and Knox Street, a busy neighborhood with homes and businesses. A contractor working on the water lines accidentally punctured a 4-inch gas main around 1 p.m.
"All we heard was a big boom," said Melendez. "First, we saw the workers running, and then we saw the firemen coming." It took until about 5 p.m. to cap the leaking main. All of that gas in the air could have led to a very dangerous situation, so approximately 100 homes were evacuated, with the power being cut to about 3,000 people as a precaution to prevent any ignition from the gas. "Our concern was it finding a way into these homes through the water mains, sewer pipes and things like that," said Deputy Lawrence Fire Chief John McInnis. 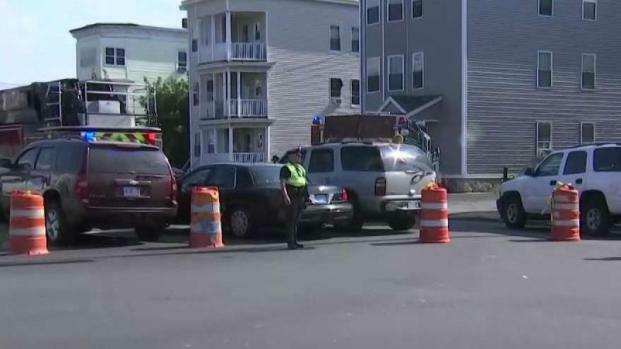 A gas main leak in Lawrence, Massachusetts, has prompted evacuations. As crews worked on the issues, roads were closed down, and that meant a lost day of business for places like King Tire. "No customers," said Wilson Santana, a manager at the business. "They can't come because the street is closed." Utility crews and firefighters went door-to-door checking on the gas levels once the leak was capped. They found some of the houses with elevated readings. Once those homes were ventilated, the evacuation order was lifted.